As I sit in the quietness of my office on this Independence Day, my mind is in memory mode. I’ve already received a call about the fireworks tonight and heard about where one can and can’t set off the fireworks. I remember the Black Cats plus various other fireworks we used to set off so long ago. “I remember this one teacher. To me, he was the greatest teacher, a real sage of my time. He had such wisdom. We were all reciting the Pledge of Allegiance, and he walked over. Mr. Lasswell was his name….he said, I have been listening to you boys and girls recite the Pledge of Allegiance all semester and it seems as though it is becoming monotonous to you. To the Flag - our standard, Old Glory, a symbol of freedom. Wherever she waves, there is respect because your loyalty has given her a dignity that shouts freedom. States - individual communities that have united into 48 great states. Forty eight individual communities with pride and dignity, and purpose, all divided with imaginary boundaries, yet united to a common purpose, and that love for country. And to the Republic - a state in which sovereign power is vested in representatives chosen by the people to govern. And government is the people and it is from the people to the leaders, not from the leaders to the people. For all - which means it is as much your country as it is mine. What Red Skelton shared became the talk of the nation. It made so many people stop and consider where we were and where we were going as a nation. I believe that once again we as a nation need to stop and consider where we are and where we are going. 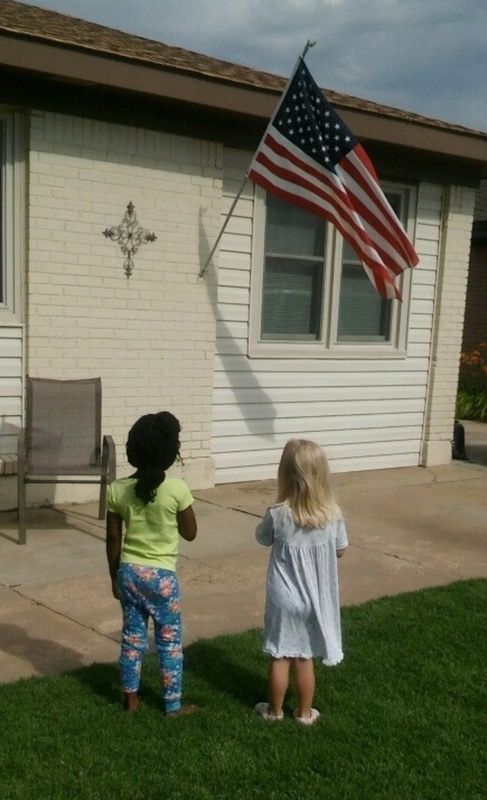 It is my prayer that the Pledge of Allegiance will never become monotonous to us nor will we ever allow this Pledge to be called a prayer and removed from our schools or from our lives. I do believe that as long as we remain ‘one nation under God’, God will bless this land we love. May America return to the God of our fathers and may God bless America! 1 Vincennes, Indiana is the home of Red Skelton and through the courtesy of the Knox County Chamber of Commerce they made available Red’s meaning of The Pledge of Allegiance. He gave this on the Red Skelton Hour, January 14, 1969.